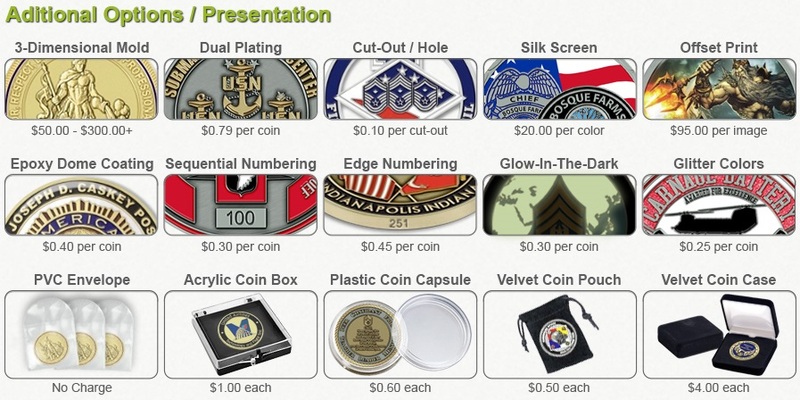 Use the charts below to compute the total amount for your order of custom challenge coins, based on size / quantity / options. Pricing includes free delivery and no sales tax is charged for shipping to most US states. Although we are able to ship to any location in the world, orders to be shipped outside of the 50 US States require an additional fee which can be individually quoted by one of our sales staff. We can also ship to any APO, FPO or DPO service address worldwide. Every customer receives free design services and expert consultation before actually placing an order with us. 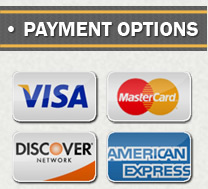 We want your experience with CustomChallengeCoins.com to be hassle-free. If we can do anything beyond our normal service guidelines to make your project go smoothly, please let us know.